It’s where we gather with family or relax when we have a moment to ourselves. 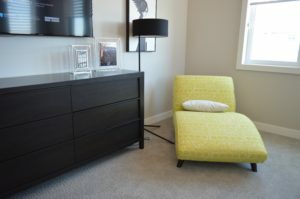 Our homes, condos, apartments, houses are our sanctuary and we all want them looking modern and fresh. Painting the interior of your house / space is one of the least expensive home renovations or home improvements that you can do to get that fresh new look and that comfy cozy feeling of home. Painting & Decorating a house is a great way to display your creativity. With so many paint colours and shades to choose from it’s not always necessary to make everything match. You can choose a dark bold colour to highlight one wall or painting the ceiling often referred to as the fifth wall, adds that little extra to your homes decor. Painters used to paint the walls and ceilings all in the same colour because it was popular and trending in the good old days. Peoples homes kind of all looked the same because the most popular colour used to be white or beige. Today’s paint colour choices are many and they add personality and character to our spaces. that we have so many different paint colours to choose from to add personality and character to our spaces. Some of us go bold with dark walls or ceilings or vice versa, we choose a focal wall for an accent colour or paint a door in a darker paint colour as opposed to the traditional white. Painting the interior of a house is just so much more creative. To get the perfect results, we share a few interior house painting tips to get you through your project. 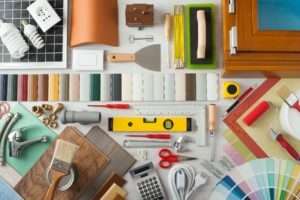 Start with investing in buying the proper tools and materials for that next interior painting job. Painters tape is always handy especially if you are doing the painting yourself. It helps give you a guideline to paint a straight line with the paint brush as well as avoiding paint spilling or dropping on to areas you don’t want the paint to be on. For example you don’t want the ceiling paint dripping over the walls nor do you want to see the paint colour you choose for painting the walls spilling onto the trim, baseboards or the ceiling. Invest in a quality paint brush and paint roller. By spending the extra money on the better quality your end results will be smoother and more like professional painters finished it. The cheaper paint brushes will leave hairs or fibers behind as will the cheaper paint rollers. As enticing as the low cost of buying a paint brush say at the dollar store or for very cheap price they will not give you the professional painters results at the end of your interior painting project. A putty knife and some wood/putty filler to fill gaps, small cracks, nail pops and to fix minor drywall repairs . Scratches, dents, holes in the drywall should be filled and repaired before any painting is done. You may need a trowel and drywall compound if the repairs to the drywall are bigger. Know when it’s just a simple paint touch up or complete re-painting before you get started. Sanding block sponge or sheet of sandpaper. Start by sanding all the trim and baseboards and any of the drywall repairs you’ve made. Smooth down any areas you’ve applied the putty or drywall compound too. Before painting the walls should be as smooth as you can get them otherwise the imperfections will show when applying the finish paint colours. Purchase a tube of caulking. Caulk all window frames, baseboards, door trim and if you have ceiling cove or crown molding it should be caulked before painting. The caulk will ensure all gaps are sealed giving you a smoother clean cut line when painting is finished. Quality Primer and Paint makes all the difference. If you are painting new drywall in a newly built home then a paint primer will make all the difference. It will help give the new drywall the proper seal before applying any finishing paint coats. It will also save you money when buying the finish paint. That’s pretty much it for you to get the walls and ceiling all ready for painting. Now you may have already picked out your colours but if you haven’t then, you may find this article on how to choose your paint colours and finish helpful. 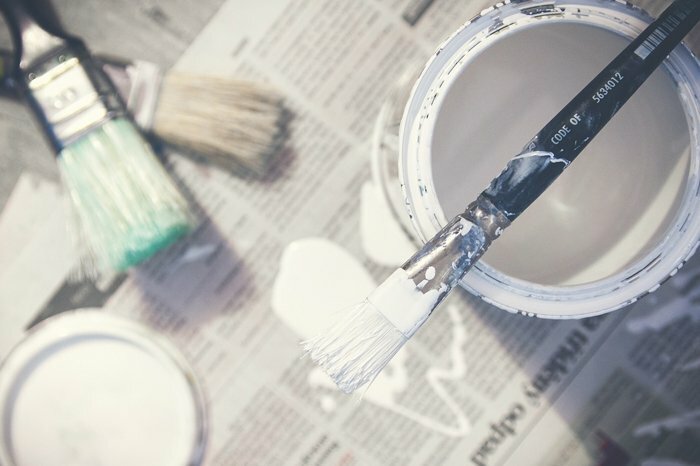 Just remember these tips next time you are preparing a room for painting. Painters tape is not the magic trick to getting professional painting results. Remove it on an angle while the paint is still wet, and that although it will help in being your guide for a clean straight cut paint line, don’t expect it to catch excess paint build-up or paint bleeding every time. Use ziploc bags to keep a paint brush or roller from drying out. If you step away from your painting project for a couple of hours, just put the brush and roller into a plastic bag with a zipper or wrap it in the bag and seal it with a knot or elastic. If you are going to be away from completing the painting say until the next day then you should place the brush and roller as above in the bag and put them in the refrigerator. This will keep them wet with the paint until the next time you use them. Buy or make your own wipe rags. You will need them to wipe down any paint that may have gotten on to the floor, or if mishaps like a paint can spill happens. Simply dampen the rag with water and wipe as you go. Be mindful if you are painting a room with carpet. Paint can and will soak through drop cloths. You can lay down some of the plastic wrap on the carpet, and tape it to the baseboards. This will ensure that even if any paint gets on the drop cloth, the taped up plastic on the carpet will be a secure barrier and won’t allow any paint to penetrate onto the carpet. Take the precautions of cleaning up big drops or spills of paint before they soak through and before you step on them, creating more paint problems than you were hoping for. Leave windows open while you are painting a room or house. This will ensure fresh air circulates and helps dry the paint faster. 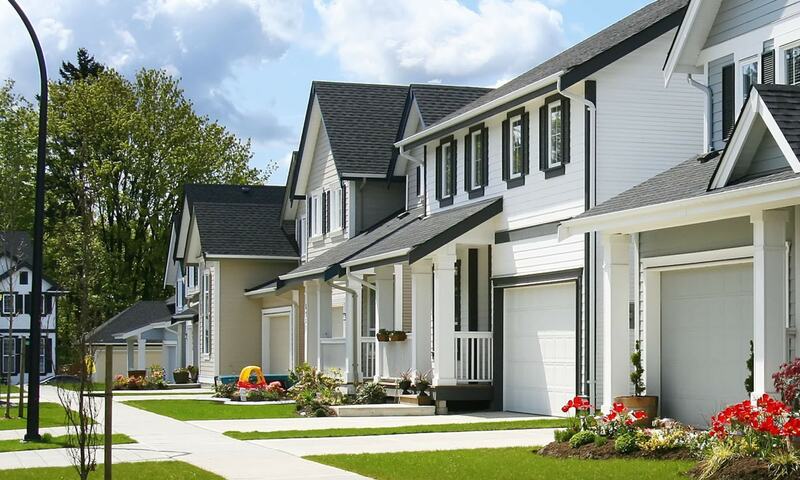 Today’s modern technology of the production of paint products are environmentally safe and consumers / homeowners can rest assured they are using low to no VOC paints . If you plan accordingly and pace yourself you can get through it in a few days or weeks. 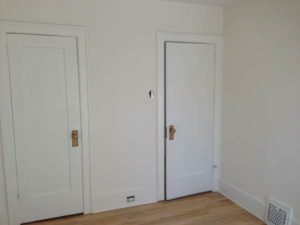 If you are not looking forward to doing it yourself then you can always find a painter near by. Professional house painters can help take the pain out of painting it yourself, relieve you from the aches and pains in wrists, neck and shoulders from the repetitive motion of brushing and rolling. House Painters and painting is the one thing you want to make sure you have the very best of. It’s truly an art form that requires skill, knowledge, experience craftsmanship and discipline. 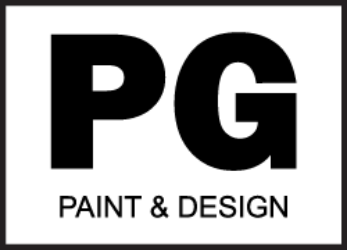 If you have questions regarding painting the interior of your house or painting a room, give your local painting contractor give us a call or email.